KC Ho is a Community Organizer at Chinese Progressive Association. KC joined CPA in 2017 after completing the Seeding Change fellowship as an Eva Lowe Fellow at CPA. Remembering how her dad worked 6 days a week in New York City Chinatown throughout her childhood to make ends meet motivates KC to organize immigrant Chinese workers for power in their workplace and beyond. 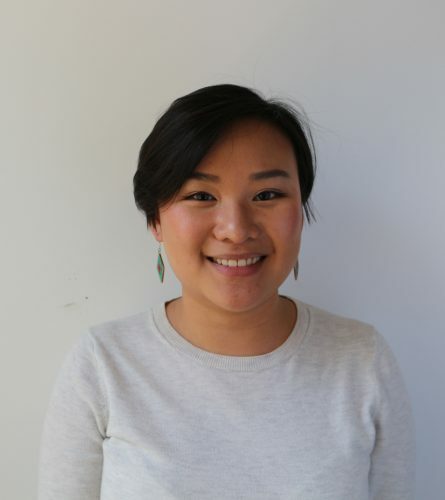 KC was born in Hong Kong, and grew up in New York City witnessing and experiencing poverty and gender violence as an Asian womxn. In college, KC learned more about inequality and social change movements in the U.S. and abroad, inspiring her to focus on marginalized communities in the U.S. While working at Communities United Against Asian American Violence (CAAAV) in New York, KC began leading political education and organizing Asian American youths and AAPI folx. KC later worked with United We Dream in Houston to engage Latinx voters and end racist law enforcement policies. They like wholesome cartoons, hiking, and true crimes.